Here are 5 quarters of productive land in the RM of Good Lake #274. 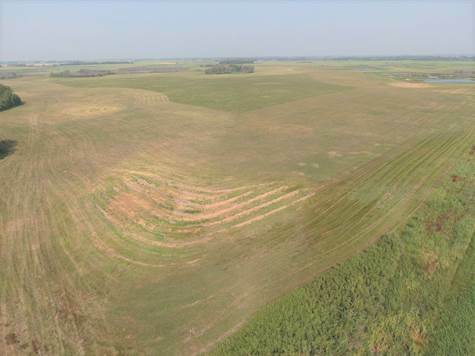 Cultivated acres shown are as per the SAMA reports which indicate a Yorkton Loam Soil, 6+ inches deep, T1 (level to nearly level) Topography, S2 (slight) Stones, and final ratings as high as 72.59. This is very good land suited to producing high yielding Grain & Oilseed Crops. Currently in hay for over 20 years with no chemical or fertilizer applied, the possibility exists to be registered for organic production. Grain or hay, this land will look after you year after year. The sellers have an additional 7.5 quarters of pasture land available, Listing Agent has full details.